On occasion game studios need to make changes to existing games that are still on the market. This means that for any single game, there could be different versions in the wild with only minor differences. During the original Nintendo NES era, this likely happened as much as it might happen today. If I have an old NES cartridge, is there a way that I can tell which version of a specific game ROM has been loaded to the cartridge? Yes, and it's quite easy to identify. 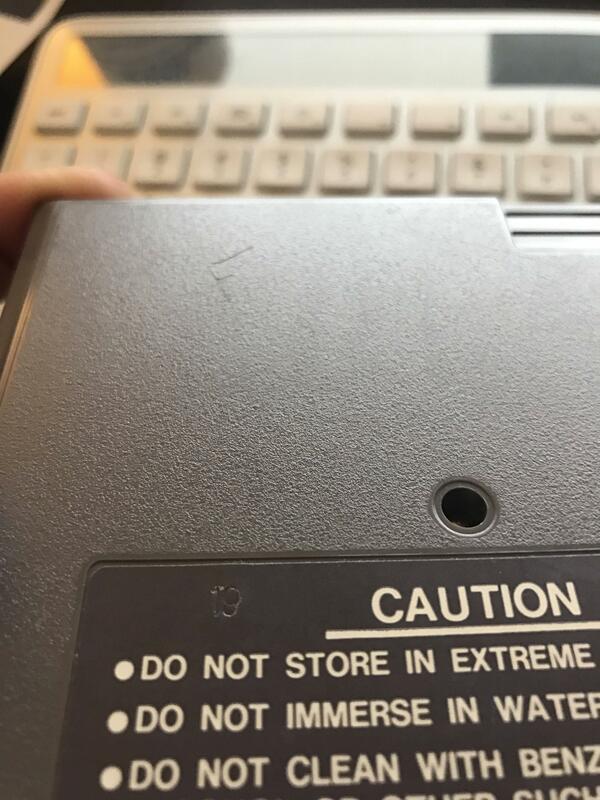 On the back of each Nintendo cartridge is a pretty standard caution label. There were a few variations over the years, but the shape and placement has been consistent. During cartridge production, game studios would have to send off their finalized game roms to the manufacturing plants that would assemble the cartridge chip, flash the roms onto them, assemble them into their plastic casing and apply all of the labels. This assembly process took place in multiple assembly locations and on the above-mentioned caution label, an impressed stamp was placed on the label to indicate which assembly line the cartridge was assembled on. When a game had an updated rom sent from the developer to Nintendo, the manufacturing facility would have to know the revision. Initial rom versions have no specifier. However, versions 2 of a game rom and above were marked first with an "A" for the first revision, then a "B" for the second revision, and so on. This revision number is stamped to the right of the assembly line number onto the caution label. For instance, if you see a stamp marked "00". You know this is the first version of a game, that was manufactured on assembly line "00". If you see a stamp that says "24A" then you know that this is a cartridge that was assembled on line 24 and has the first revision of a game rom that was released. If you find an "A" revision then there is a good chance that another revision of the game out there that is version 1. However, for some games that's not always the case. If quality assurance caught a problem before a game was shipped to stores, they could have notified the developers who could have fixed the rom file and then submitted the updated version to Nintendo for production in the manufacturing facility. That is to say, though it is rare, some games may start with revision A. It's also worth mentioning that game revisioning happened a little more often than one might think. Most of the changes were minor and were often made to fix minor bugs that were found after mass release, or if a game was re-released, the copy right dates may have been updated on the start screen. Some variant collectors do look for these differences but usually needing a specific version for proper gameplay is quite rare. Nintendo continued using this quality assurance system for marking assembly lines and rom versions on carts for many years. I've seen these versions on Game Boy Advance games and if I recall correctly, they might even exist on DS and even 3DS games today. Knowing this knowledge can help you spot variations of games, if you want to factor rom versions into your collecting. Below are a couple of sample images, showing these stamps on a couple of games that I own. Color-adjusted by DrZoo for better visibility. 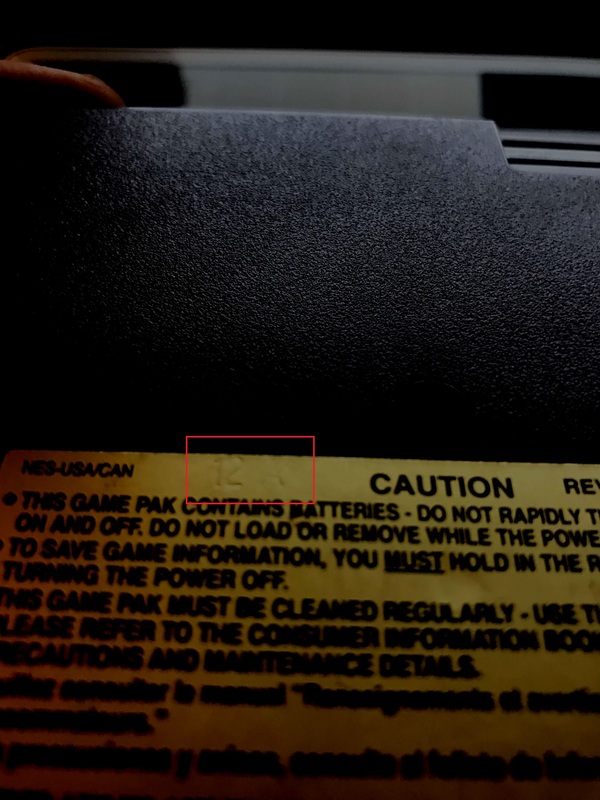 Markings on the cart (or even the ROM chips) don't directly correspond to the game revision. The best you can do is dump the ROM data and judge based on existing ROM dumps and the serials on your game's cart/PCB/ROM chips where it fits in. But in some circumstances it can be easier, such as with Nintendo made carts which usually have visible PRG and CHR revision numbers written on the PRG and CHR ROM chips. How can I play a NES emulator in grayscale video mode?